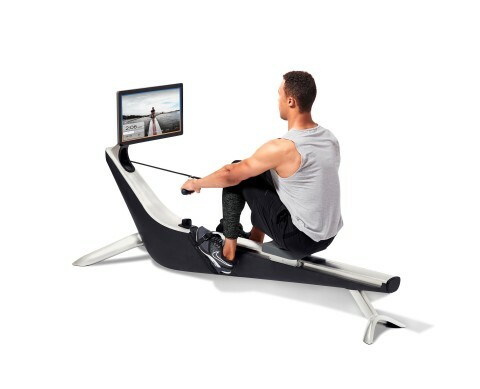 CAMBRIDGE, Mass.--(BUSINESS WIRE)--Following the Peloton revolution, the connected fitness world is again being upended by CREW by True Rowing with the announcement today of $5 million in seed capital to bring a connected indoor rowing machine to market. CREW by True Rowing daily creates inspiring live content broadcast straight from the cradle of American rowing, the Charles River in Boston, Mass. Instructors inspire home workouts with compelling music, real-time feedback, and daily stories from their journey to the National Team, all delivered on CREW’s proprietary, patent-pending broadcast-and-delivery system. CREW has built a beautiful new indoor rowing machine that looks and sounds unlike any other on the market. With a sleek, beautiful design that reminds viewers of the water, it is nearly noiseless in operation. Rowing is long recognized as the best whole-body workout, working nearly twice as many muscles as cycling. True Rowing makes the experience of rowing on the water accessible to millions for the first time, leveraging new technology to transmit the complete rowing experience to CREW’s connected rowing machine. Rowers at home will experience the rhythm and the environment of being out on the water, transforming the experience of working out on an indoor rower. CREW by True Rowing has attracted a group of National Team rowing instructors and enthusiasts, led by Smith, a former US National Team Coach and executive director of Community Rowing, a worldwide leader in rowing that has been instrumental in the growth and development of the sport in the U.S.
Smith said Peloton has done a great job of providing a new experience for people interested in cycling. Rowing can deliver even more to the connected fitness experience. Rowing is one of the few exercises that uses both the upper and lower body. Rowing burns calories, is an effective method for weight loss, and offers both strength training and a cardio workout. “We built a machine that belongs in the living room, not the basement, because we want whole health to be a part of our customer’s daily life,” Smith said. True Rowing estimates there are between 175,000 and 250,000 rowers in the U.S. However, there are also approximately 4.3 million people who use indoor rowing machines on a daily basis. True Rowing brings the experience of rowing on the water to the at-home exercise market. Based in Cambridge, Mass., the company has created CREW, which brings on-water instruction from a team of expert rowers to home. Please visit the website, www.truerowing.com, to learn more about True Rowing and the CREW rowing machine.